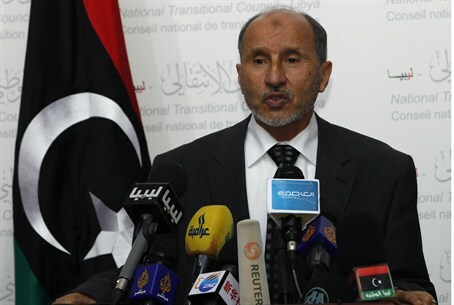 Libyan leader Mustapha Abdul Jalil says he would use force to quash a move for domestic autonomy by the oil-rich east. Libyan leader Mustapha Abdul Jalil on Wednesday threatened to maintain national unity “with force” after tribal leaders declared semi-autonomy for an eastern region. “We are not prepared to divide Libya,” Jalil said in a call for dialogue with leaders in the eastern Cyrenaica region. “They should know that there are infiltrators and remnants of Qaddafi’s regime trying to exploit them now and we are ready to deter them, even with force,” he said in televised remarks during a conference in Misrata to draft a national charter. “I regret to say that these (foreign) countries have financed and supported this plot that has arisen in the east,” Abdul Jalil told reporters. A faction of tribal and political leaders in the oil-reach east of the country on Teusday declared a semi-autonomous territory and has called for a federal system of governance similar to the one that prevailed under the pre-Qaddafi royal constitution. Foreign policy, military affairs, and oil policy would remain in Tripoli's hands. The declaration in Benghazi does not carry legal force. Cyrenaica stretches westwards from the Egyptian border to the Sirte, half-way along Libya’s Mediterranean coastline. It did, however, underscore the longstanding unhappiness in the oil-rich east of Libya at what it regards as neglect and marginalization by the rulers in Tripoli, more than 620 miles to the west. It also deepened the troubles of the National Transitional Council (NTC), the body internationally recognized as Libya’s new leadership, which is struggling to unify Libya in the vaccum left by slain dictator Muammar Qaddafi. Qaddafi ruled the regionally and tribally fractious Libya for 42-years with his autocratic and often erratic cult of personality. He failed to create a robust government apparatus or to forge a singular national identity. It remains unclear how Jalil, whose NTC has been unable disband the militias that have divided Tripoli into virtual feifdoms, let alone convince the disparate militias across the country to accept central military authority, expects to "enforce" unity." Some Libyans have dismissed the moves for autonomy in eastern Libya as a ploy by a cabal of wealthy families who had prospered under the old monarchy, but languished in relative obscurity for over four decades under Qaddafi. Of note was the decision by leaders in Benghazi to name Ahmed al-Senussi, a relative of Libya’s former king and a political prisoner under Qaddafi, as leader of the self-declared Cyrenaica Transitional Council. There have also been calls in the east to install Crown Prince Mohammed Al-Rida Al-Senussi as a symbol of unity and hands-off monarch in a strong constitutional system with elected federal leaders. For his part, Mohammed Al-Rida Al-Senussi has said such questions are "to be decided by the Libyan people" and that he will respect whatever they decide.